View and configure your expense policies. 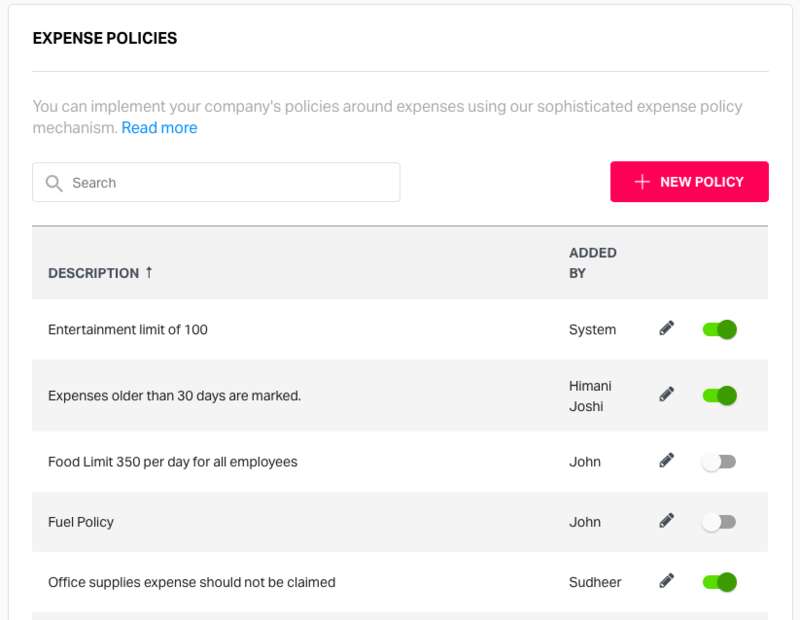 With Fyle, you can create custom expense policies for your employees and the policy violation is detected in realtime. View your organization's expense policies under Settings --> POLICIES. Mileage: Percentage allowable edit in distance. Flag Expense: Flag the expense when a policy is violated. Once all the conditions have been set, click on the SAVE button to create the policy. 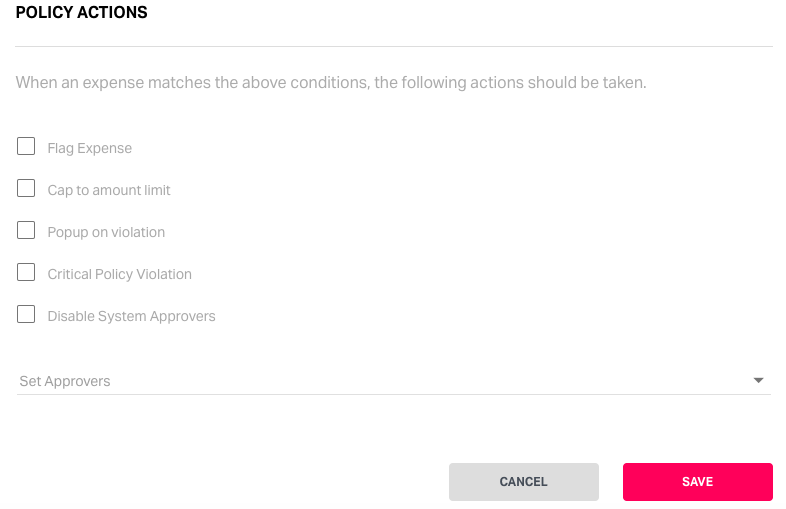 Use the toggle button against a policy to disable. All policies, including system policies, can be disabled. System Policies: System policies are created by the Fyle team upon request and cannot be edited by an admin. Policies created by admins are displayed with the name of the admin in the ADDED BY column.